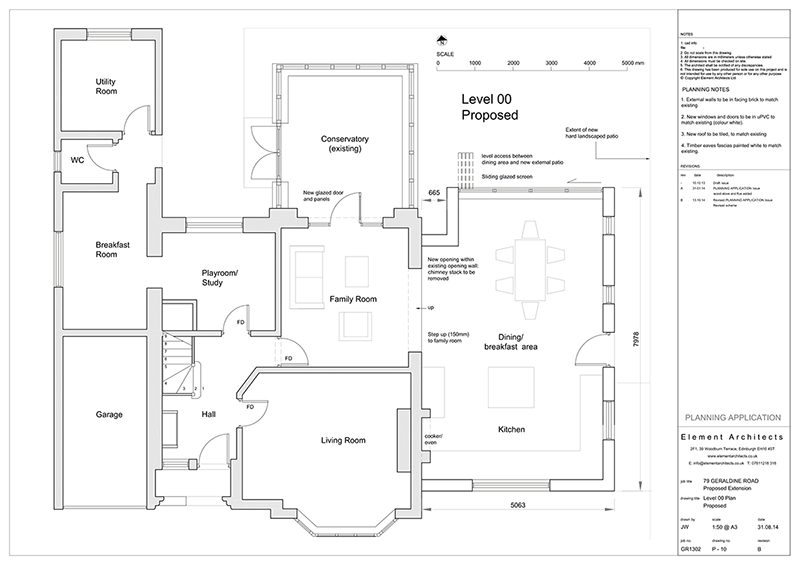 The planning approval process ensures that a proposed development is lawful. It requires that new schemes are assessed by the Local Authority to determine whether a development is acceptable. Not all projects will require approval and Permitted Development Rights set out criteria for development that doesn’t need Planning Permission. If your property is within a Conservation Area or other sensitive area, or is a Listed Building additional constraints will apply. We will establish the local policy for a site early in the design stage. This will have relevance to the design of a project particularly where there are active constraints. We also research the local area for similar precedent projects that have been approved. This avoids later set-backs and helps to ensure the success of a planning application. If your site is within a sensitive location or Conservation Area, or is Listed we may seek early feedback from the Local Authority to establish viability. In some cases proposals may require negotiation with the local authority or require advice and help of a specialist Planning Consultant. We also identify and advise on issues such as rights of light, overlooking and boundary wall, and rights of way issues where relevant to a proposed scheme. The planning approval process is rarely straight forward, and we provide professional advice and guidance through this stage of a project.